Texas is lucky to have a year-round, world-class saltwater fishery. Here are some spots to check out if you happen to be headed to the Lone Star State and hope to wet a line along the Gulf Coast. Located on the Texas/Louisiana border, Sabine Lake is home to schools of trophy speckled trout and good numbers of redfish. Flounder, however, is what Sabine Lake is famous for. In fact, the Texas State Record flounder was taken from marsh surrounding Sabine Lake. Additionally, the Sabine and Trinity rivers, which feed the estuary, form a brackish environment that is home to black bass and bluegill as well as the traditional saltwater species. The closest towns in which accommodations are available are Port Arthur and Orange. Galveston Island is surrounded by water, all of which is teeming with speckled trout, redfish, and flounder. The Galveston Bay system is the largest bay system in the state and offers a wide variety of access points, including walk-in wading in the several of the bays, jetties along the beachfront, fishing piers, the famed San Luis Pass, and Galveston Island State Park. Conveniently, there are plenty of lodging and dining options on the island. East and West Matagorda bays each have their unique traits. East Matagorda is a relatively small bay system, full of oyster beds and Texas-size speckled trout. West Matagorda Bay is a mix of deep holes and guts and shallow grassy flats along the shorelines which are popular among shallow water anglers looking for redfish. Anglers looking to fish these bays can find accommodations in either Matagorda, which is close to East Matagorda Bay or Port O’Connor, which is situated on West Matagorda Bay. Rockport is famous for the large numbers of redfish which prowl the many small bays surrounding this cozy coastal village. In recent years, Rockport and nearby Aransas Pass have become favorite destinations for fly fishers looking to stalk redfish in the shallows or chase speckled trout, black drum and flounder throughout the bay. Baffin Bay is renowned for trophy trout. In fact, the last two state record fish have come from this hard to access bay. However, the bay which Baffin connects to, the Upper Laguna Madre is just as productive. Unlike Baffin, which has a variety of fish-holding structure, the Upper Laguna consists mainly of shallow grass and sand flats, which are perfect for casting to redfish, trout, sheepshead, and black drum. Convenient access to these bay systems can be found from either Corpus Christi or Port Aransas. The tiny South Texas town of Port Mansfield has long been a favorite destination for serious saltwater anglers. 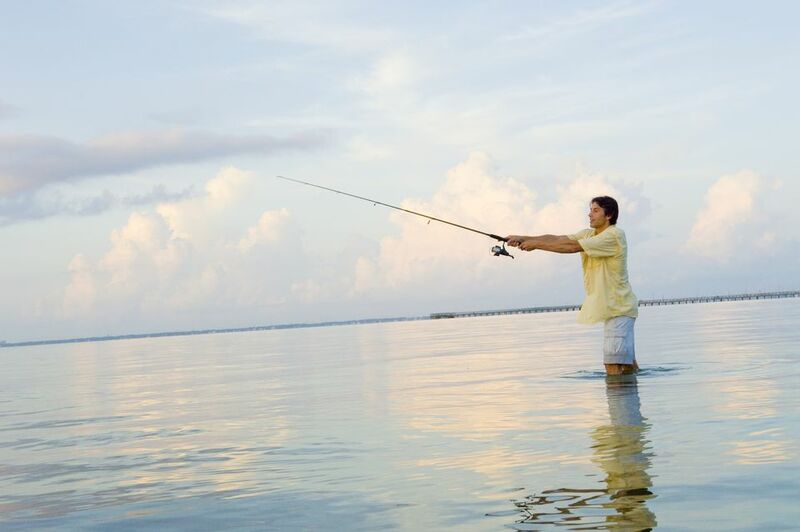 Although there is not much in the way of nightlife in Port Mansfield, if you’re serious about catching trophy trout or chasing tailing redfish in scant inches of water, Port Mansfield in the place for you. The narrow, shallow stretch of the Lower Laguna Madre which is situated between Port Isabel and South Padre Island is the southernmost stretch of saltwater in Texas and is one of the most overlooked fisheries in the state. In addition to good numbers of speckled trout and redfish, this portion of the Lower Laguna Madre also supports a fishable population of snook, tarpon, and mangrove snapper. Just off South Padre Island, anglers can also find some of the best offshore fishing along the Gulf Coast.